U.S. President Donald Trump is taking more swipes at Canada and its prime minister over trade issues as he settles in for a summit with North Korea in Singapore. U.S. President Donald Trump took more swipes at Canada and its prime minister over trade issues as he settled in for a multi-day summit with North Korea in Singapore, contending that "Fair Trade is now to be called Fool Trade if it is not Reciprocal." Trump roiled the G7 meeting in Canada by first agreeing to a group statement on trade only to withdraw from it while complaining that he had been blindsided by Canadian Prime Minister Justin Trudeau's criticism of Trump's tariff threats at a summit-ending news conference. As he flew from Canada to Singapore Saturday night, Trump displayed his ire via Twitter, which he also employed to insult Trudeau as "dishonest" and "weak." The attack on a longtime ally and its leader drew sharp criticism. German Chancellor Angela Merkel, who also attended the summit, told German public television that she found Trump's tweet disavowing the G7 statement "sobering" and "a little depressing." Merkel also said the European Union would "act" against the U.S. trade measures. 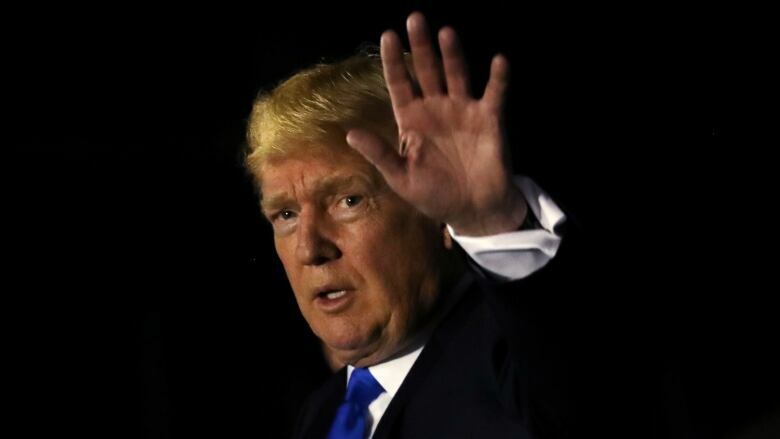 Unbowed, Trump tweeted anew Monday morning from Singapore: "Fair Trade is now to be called Fool Trade if it is not Reciprocal. According to a Canada release, they make almost 100 Billion Dollars in Trade with U.S. (guess they were bragging and got caught!). Minimum is 17B. Tax Dairy from us at 270%. Then Justin acts hurt when called out!" He added: "Why should I, as President of the United States, allow countries to continue to make Massive Trade Surpluses, as they have for decades, while our Farmers, Workers & Taxpayers have such a big and unfair price to pay? Not fair to the PEOPLE of America! $800 Billion Trade Deficit...And add to that the fact that the U.S. pays close to the entire cost of NATO-protecting many of these same countries that rip us off on Trade (they pay only a fraction of the cost-and laugh!). The European Union had a $151 Billion Surplus-should pay much more for Military!" And he brought in Merkel's government: "....Germany pays 1% (slowly) of GDP towards NATO, while we pay 4% of a MUCH larger GDP. Does anybody believe that makes sense? We protect Europe (which is good) at great financial loss, and then get unfairly clobbered on Trade. Change is coming!" Earlier, the White House escalated the initial tirade and levelled more withering and unprecedented criticism against Trudeau, branding him a back-stabber unworthy of Trump's time. Canada's foreign minister, Chrystia Freeland, said her country "does not conduct its diplomacy through ad hominem attacks." 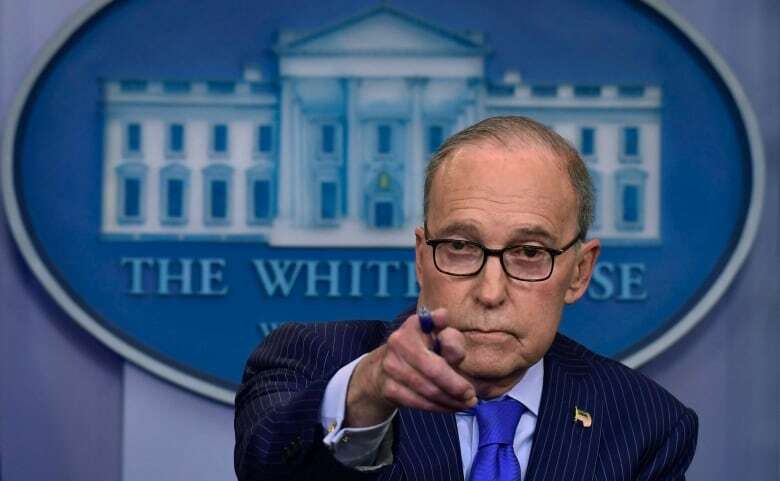 The verbal volleys by Navarro and Trump's top economic adviser, Larry Kudlow, picked up where Trump had left off Saturday evening. Kudlow suggested Trump saw Trudeau as trying to weaken his hand before that meeting, saying the president won't "let a Canadian prime minister push him around. ... Kim must not see American weakness." A Trudeau spokesperson, Cameron Ahmad, said Saturday night that Trudeau "said nothing he hasn't said before — both in public and in private conversations" with Trump. Trudeau said he had reiterated to Trump, who left the G7 meeting before it ended, that tariffs would harm industries and workers on both sides of the U.S.-Canada border. Trudeau told reporters that imposing retaliatory measures "is not something I relish doing" but that he wouldn't hesitate to do so because "I will always protect Canadian workers and Canadian interests." He said Trump "did the courtesy to Justin Trudeau to travel up to Quebec for that summit. He had other things, bigger things, on his plate in Singapore. ... He did him a favour and he was even willing to sign that socialist communique. And what did Trudeau do as soon as the plane took off from Canadian airspace? Trudeau stuck our president in the back. That will not stand." Want more on this story? Read reporter David Cochrane's analysis of the tense G7 summit.